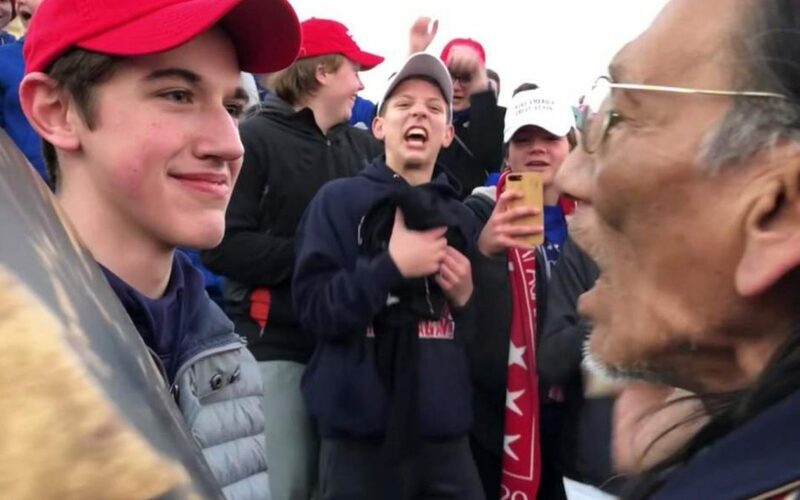 We all have a little something to learn from the standoff between the teens from Covington Catholic High School and the Native American drummer, Nathan Phillips, who collided into our national consciousness after an incident at the Lincoln Memorial at the conclusion of the Indigenous Peoples March last weekend. Depending on which lens you use to see the world, your perspective of this situation probably falls into one of these camps. Either: Mouthy white boys in MAGA hats. Little Brett Kavanaughs. The #MeToo movement, a p****-grabbing President, families separated at the border, children in cages and dying in immigration custody, a government shutdown over funding for building a xenophobic wall at our Southern border – it all clashes together in this moment of collective outrage at the additional sight of smug, mocking teens disrespecting a Native American elder with tomahawk chops and the smirks of privilege – and doing so wearing the regalia of a modern day racist. Or: Fake media and Hollywood liberals. Always looking to instigate hate against President Trump and any of his supporters. Death threats and shaming of CHILDREN. Manipulating the image to serve their talking points. It’s easy to beat up on rural America – especially if these Kentucky kids had the audacity to come to DC to March For Life. The most endangered species right now is the white Christian male. Can we stop for a minute? Can we step back from these interpretations and rigid constructions of what happened to admit that most of us will never actually know because we were not there? Rather than engaging in an exercise of finger-pointing and assigning blame over whose version of what happened is “truth,” it might serve us better to focus on what this moment teaches us. There are some rich lessons here for all of us, should we choose to open ourselves to the opportunity.